for the latest high-end devices including FPGA and ASSP? Regarding high-end devices including FPGA and ASSP, requirements against a power supply unit have been getting stricter associated with more detailed process rules. In matters of the latest models in particular, as the new requirements not ever imposed before have been added such as the change of output voltage according to a power supply sequence setting and a load as well as the correspondence to high current output, some of such requirements cannot be satisfied with conventional POL converters. Bellnix, as a pioneer in the industry, has been working on the improvement of product specifications, technical capabilities and product qualities. Our brand new lineup of digital POL, the BDP series and the BDX series, offer the most suitable solution to high‐end devices with adopting the functions of the various setting changes during operation via serial communications (PMBus), the correspondence to high current output, and the parallel operation and the feature of high current output. 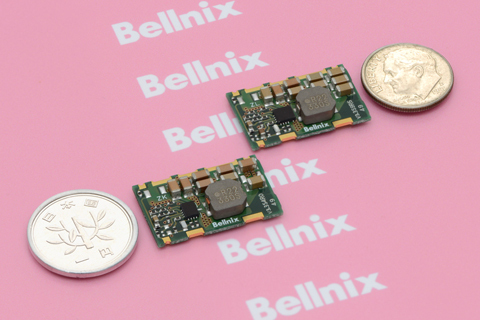 Bellnix released 150A BDP series. Digital control, Large current output, Non-Isolated type POL DC-DC Converter. 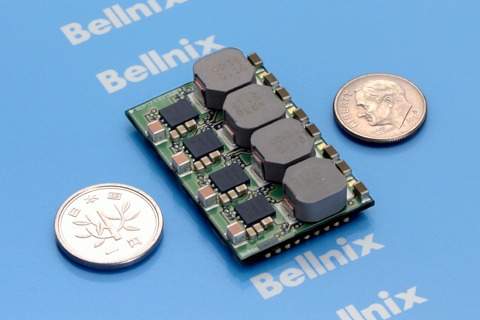 Bellnix has released New BSV-H series. High speed load response, Non-Isolated type POL DC-DC Converter. Full Digital Control Semi-custom AC-DC power supply "BDG series"
Contactless Power Supply Module "BWS Series"
Power Factor Correction Unit "BPF Series"
Digital POL Converter "150A BDP series"
High-Speed Response POL Converter "BSV-M series"
《Q005》 Do you sell in small quantities? Our company do not sell in small quantities. Please check out some of the distributors from our site. 《Q004》 Can the DC-DC converter be used while the voltage value the same as the isolation pressure between the primary and secondary is constantly being impressed? The isolation pressure on the DC-DC converter is the same as a voltage experiment. The isolation pressure is usually for a short period of time (1 sec, 1 min.). Therefore, the product will not work when voltage is constantly impressed. Our DC-DC converters all have a built-in over current restriction value inside the converters, therefore setting the restriction value is not possible. 《Q002》 Is series connection possible? The non-isolated type DC-DC converters can not be connected as series. However isolated type DC-DC converters are possible to be used in series connection by adding the voltages (5V+5V=10V). When using in series connection, connect a diode to each converter’s output pin (+output side: striped side, -output side:anode), this is to prevent voltage from converters which start up early and to make sure that voltage does not backdraft into other converters. Also, when using the DC-DC converter in serial operation, they must all be the same type. 《Q001》 What are the benefits for using a module part?